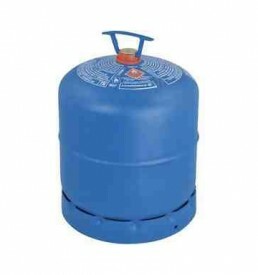 Our 7kg Butane gas bottle is the ideal solution for cooking and heating in your caravan during the summer months and can also be used for smaller portable heaters. SKU: 110071 Categories: Butane, Butane Gas Bottle Tags: butane, refill. When buying a gas bottle from us for the first time, you’ll be subject to a cylinder refill agreement charge of £39.99 and if you do not have a gas bottle to exchange, this cost will be automatically added to your order when you checkout, for every bottle you purchase without an empty counterpart to exchange. This is because, although you’re buying the gas from Bell, the steel bottle itself, remains the property of Calor for the duration of its use. This means, that the first time you purchase a gas bottle, you will be subject to this charge but when your gas bottle in empty, you can exchange your empty gas bottle for a full bottle within the same category (see gas bottle exchange policy), at just the cost of the gas and you will not have to pay for a cylinder refill agreement again. 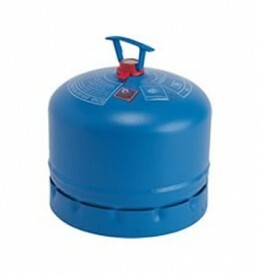 If however, your gas bottle is empty and you no longer require gas and do not want to make an exchange for a full bottle, you can return the gas bottle to us and we will refund the cost of the cylinder refill agreement to you on a sliding scale, based on the length of time the bottle has been in your possession. All gas and appliance deliveries are FREE when ordered online, and there are no hidden charges either.